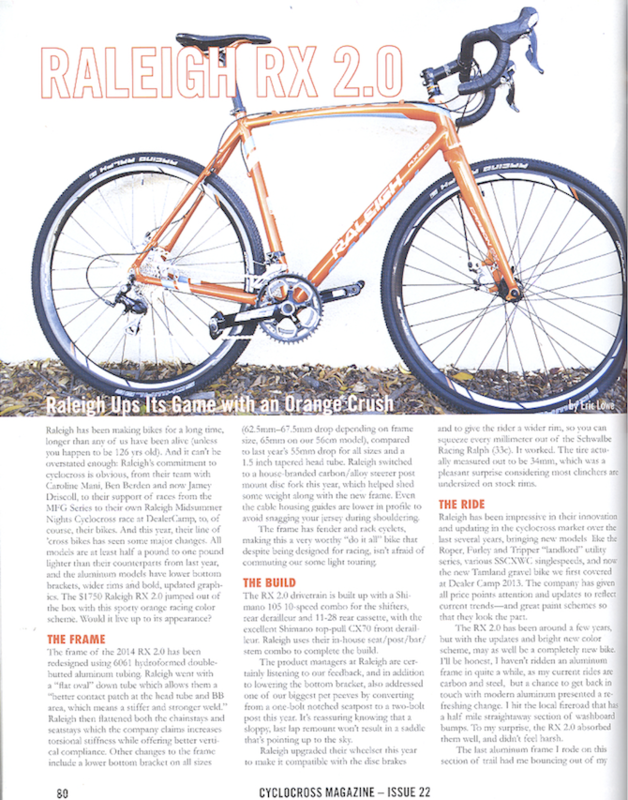 Cyclocross Magazine reviewed the Raleigh RX 2.0, calling it "a very worthy 'do it all' bike" and stating that Raleigh "has been impressive in their innovation and updating in the Cyclocross market." We're stoked! Head to your local Raleigh dealer to see if they still have any in stock and buy the Cyclocross Magazine issue while you're there.